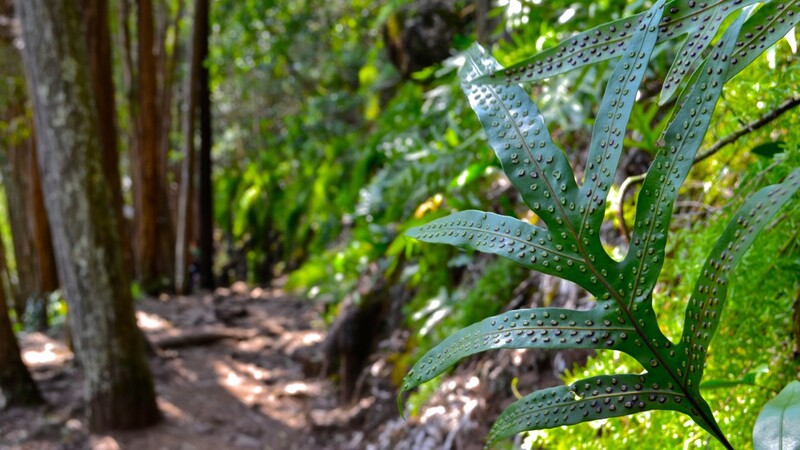 Climbing up the east ridge of Makiki Valley, the Maunalaha Trail makes for a short but steep ascent. 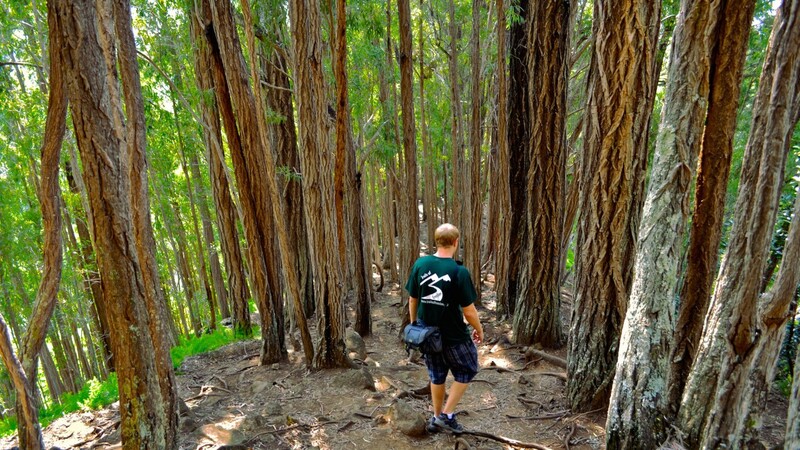 Eucalyptus trees line the sides of the path, providing plenty of shade but limits views. 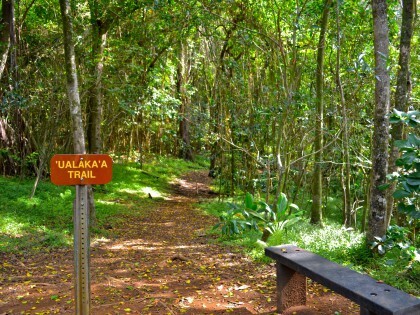 The hike eventually comes to 4-way intersection, offering visitors access to many of the valley’s other trails, including Moleka, Kanealole, and ‘Ualaka’a. 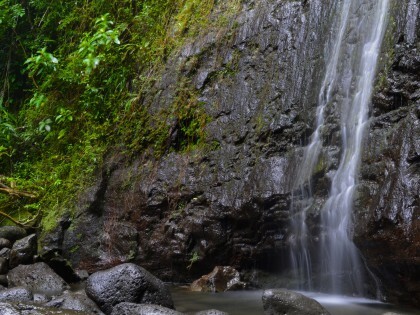 We suggest taking the latter, which leads to the Pu’u ‘Ualaka’a State Park and Overlook. By car: Follow the map below to Makiki Heights Drive (left of the split). At the road’s first sharp left, go straight to enter the Makiki Forest Recreation Area. Follow the road and park in the gravel lot on the left. On foot, turn right just before the restrooms and cross the bridge for the start of the trail. By bus: Take Routes 5, 17 or 18 to the intersection of Nehoa and Ke’eaumoku. Turn Diamond Head onto Nehoa and then take a left onto Makiki. Stay left at the split and follow Makiki Heights Drive. The walk is approximately 0.6 miles from the bus stop.